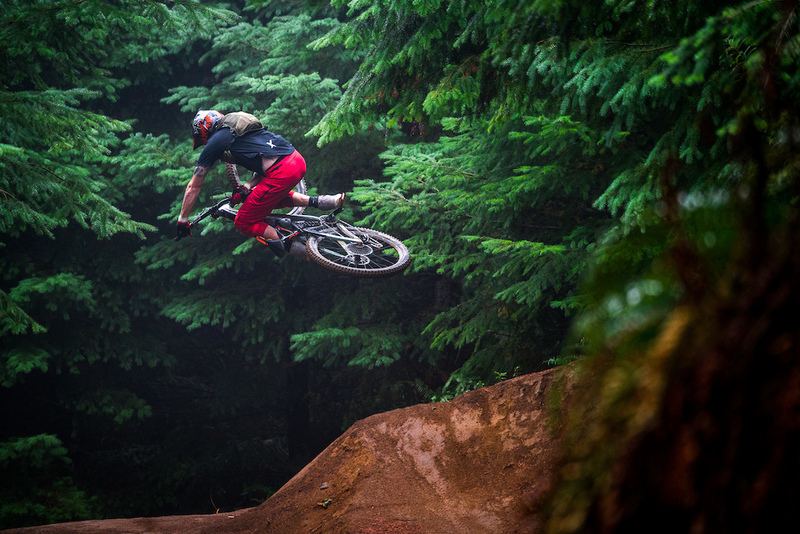 Kirt Voreis does a table top on his mountain bike at Galbraith Mountain near Bellingham, Washington. Mohawk is a hoot - great pic! Great light and nice edit!